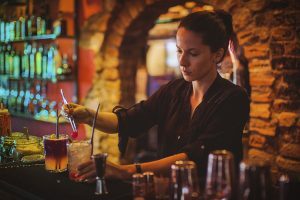 Have you ever wanted to become a bartender and learn about mixing really good cocktails? The word cocktail originated from how we use to dock non thoroughbred horses by their tails. The horses were later referred to as ‘cocktail horses’ or just simply cocktails. Later, the word cocktails was used to describe and ill-bred, low status person or vulgar person. Eventually we adopted the name for mixed drinks. Originally cocktails consisted of spirits, water, sugar and a touch of bitters. Nowadays cocktails can be just about any type of mixed drink. 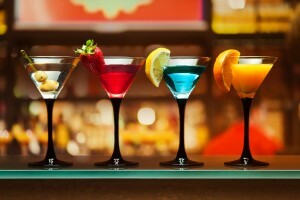 There are so many great cocktails to choose from, so picking 5 great videos was really hard. This is a cocktail you may want to let the professionals make for you. It’s a flaming drink that is highly flammable but so very cool. You will need tequila, orange slices and cinnamon. The tequila is actually heated up before lighting it on fire and then poured into a glass. What a fun and interesting cocktail!! This pretty drink is created with tequila, triple sec, vodka, blue curacao, grenadine, sugar, ice and lemon garnish. It’s the perfect summertime drink during those hot days. The Galaxy cocktail is a refreshing and cool drink that you can mix right at home!! The Johnnie Walker Cocktail is an elegant and simple drink that incorporates whiskey to make it a more sophisticated drink. For this cocktail all you need is a bottle of Johnnie Walker Red, vanilla sugar, apple juice and a glass with ice. This is a great drink for a cocktail party or during the holidays with friends. You are sure to love it! For all you Walking Dead Fans, this is an exciting and fun drink to try when you are out on the town. This recipe calls for dark rum, white rum, pineapple juice, orange juice, grenadine, sugar syrup and a lime for a garnish. Watch this video to see how to mix it all up and then light it on fire! You will get a kick out of this drink. Are you looking for a girlie drink or a summer cooler? The Lavender Lemon-tini is a light and refreshing drink. To make this drink you need citron vodka, lemon liqueur, lavender syrup and a lemon twist for a garnish. Such a smooth and delicate drink. Watch the video for yourself! It’s so easy to make. Want to connect with people and bartenders at your local bar in a whole new way? Download the BOTY App for free!